It is time to put the PORT in Freeport. This 7.49 +/- Acres is zoned Heavy Industrial (including Extractive Use) and has been FULLY PERMITTED for a PORT. All of the paperwork is complete and permits are transferrable. Located in the heart of the Freeport Working Waterfront community, this property can be used for a mix of heavy and light industry including but not limited to: office, showroom/warehouse, warehousing and transportation, storage, distribution, wholesaling, light manufacturing and product assembly, general commercial, community facilities and civic uses. 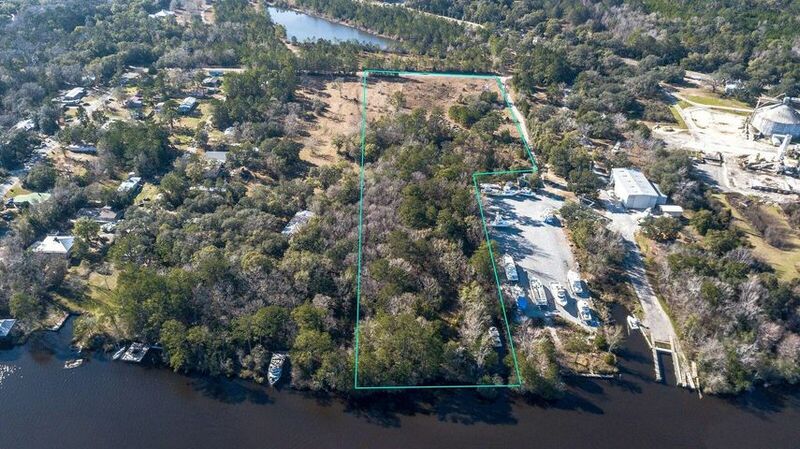 This deep water parcel has 400 +/- waterfront ft. on Four Mile Creek and is on the East side of the bridge. (see attached photos and video) Freeport is designated as a Rural Area of Opportunity and this property is located in a Rural Enterprise Zone making it the perfect spot for development! Don't miss out on this rare opportunity. Call for your tour today. Directions: Turn on Co Hwy. 83A-East (across from City Hall) Travel over the bridge and turn left onto Robinwood Dr. , Property will be on the corner of Robinwood and Hales Ln.